Behindwoods, recently had an interaction with the young and energetic producers of 7 Naatkal, Karthik and Karthikeyan. During the interview, the producers' duo was asked, if they had a dream to produce a film of any big star, and if yes, who would be that big star. Karthik opened up on this by saying, "Any day, it would be with Vijay sir. Actually, we have started to approach him. We have got the right link and are following up with it. Even if it happens after five years or more, we would definitely do. As regards Vijay Sethupathi, we want to do another film with him but we do not know when it will happen. He was the one who released the trailer of our film, and we were stunned seeing his kind and down-to-earth nature. We will definitely make a film with him and there are no doubts about that. We have talked to him and he has agreed to it. But, he is very busy and his dates are full until 2019." Breaking: Sunny Leone escapes a flight crash! Sridevi’s daughter is all set to maker her debut. Details here! Woah! Priyanka Chopra gets her next Hollywood film? 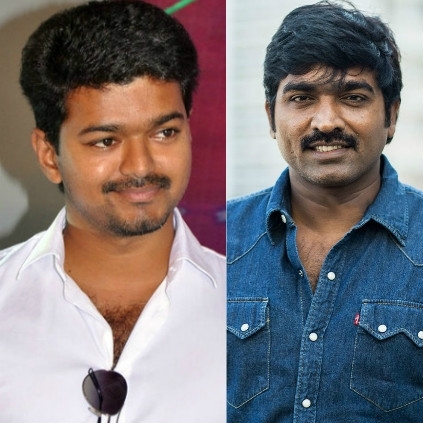 People looking for online information on 7 Naatkal, Vijay, Vijay Sethupathi will find this news story useful.